Enter now and get ready to Run Out Loud! All entrants will receive a FREE headband, collect yours from the start area on race day! 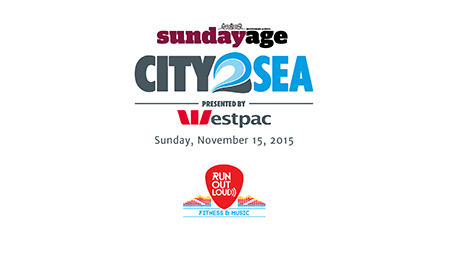 The Sunday Age City2Sea presented by Westpac will be held on Sunday, November 15, 2015. The 5km event will start at 8.00am, with the 15km event starting at 8.20am. The only way to enter is online. Payment method for online entries is credit or debit card, in addition to PayPal. Payments made via credit or debit card will incur a 1.50% surcharge, any payments made via PayPal will not incur the surcharge. If you do not have a credit or debit card, Australia Post provides a prepaid card service, please visit your nearest Post Office for details. Please read the important information in the page below before entering. Take care with your entry as we cannot change your start group after you have registered. The City2Sea is currently developing a new online registration system with The Realbuzz Group. Please bear with us as we update our technology to enhance the user experience. Browser compatibility: Please be advised that Internet Explorer 8 and 9 are not supported by our system and you will experience difficulties in your online registration if using these browsers. To upgrade your Internet Explorer to IE11 for free, please click here. Alternatively, please use Google Chrome, Mozilla Firefox or Safari. All online entries can also be completed using a smartphone or tablet. Anyone of any age and ability can enter. 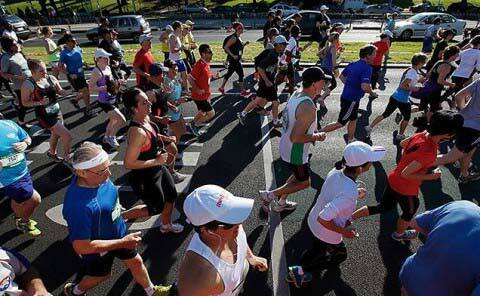 Please assign yourself to the appropriate group based on your running or walking speed. Those with strollers or non-racing wheelchairs are requested to start from the back of the pack for safety reasons. Will my race bib be posted? You will need to collect your race bib from the Sunday Age City2Sea Health & Fitness Expo, please bring your eTicket to make the process as quick as possible. If you are for any reason unable to attend, a friend or family member can collect your race bib on your behalf. They will need to provide your eTicket to do so. You will be able to collect your race bib from the 2015 Health & Fitness Expo.